Key contributors to this material are Gavin E. Hamer, PT, DPT, FAAOMPT, Dip. MT; Bjorn W. Svendsen, DHSC, PT, FFAAOMPT; and David M. Hatrel, PT, MTC, DPT. 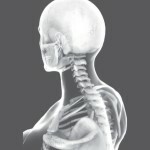 The series of courses is designed to build upon a therapist’s knowledge base and skill set to develop them into expertly trained orthopaedic physical therapists that can efficiently and effectively serve their patients, employers and other key referral sources in a musculoskeletal primary care giver capacity. The course content for our Manual and Exercise Therapy Program is organized as follows. Eighth in the HCE series of comprehensive manual and exercise therapy courses, this course is an evidence-based diagnosis and manual therapy treatment approach of the lower quarter is presented taking in account the interactions of the lumbar spine, pelvis, hip, knee and ankle. An in-depth diagnostic approach of these interactions will allow the true drivers of lower quarter dysfunctions to be identified. The sacrum biomechanically is an extension of the lumbar spine whereas the innominate and the femurs are another functional unit. These concepts are assessed when looking at the contributions each has in lower quarter dysfunction. 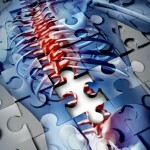 Many joint interactions do exist, such as, hip mobility affecting function and pain in the lumbar spine. The alignment and function of the knee can be affected by the foot and ankle, in addition to the hip. A diagnostic process is performed to identify the interactions for their relevance, and treatment is planned accordingly. This course brings together many concepts that must be considered when diagnosing and treating this region and by doing so will improve patient outcomes. This diagnostic system will equip the participant with the ability to recognize what is appropriate to treat and to initiate effective treatment using various manual therapy and exercise approaches and techniques. These techniques include disc-centralization rationale, mobilization, muscle energy, strain-counter strain, and specific exercise. Area of Greatest Restriction & Treatment Sequencing: Work Smarter, Not Harder!